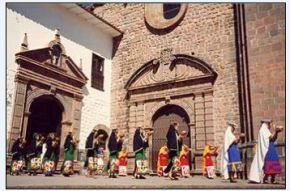 This Tour starts at 08:00 hrs, picking you up from the hotel, then we go to the first place. 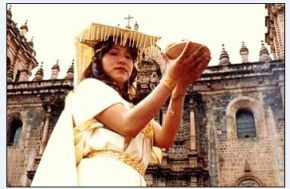 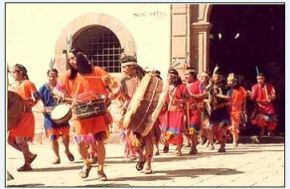 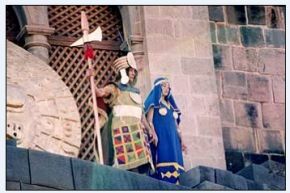 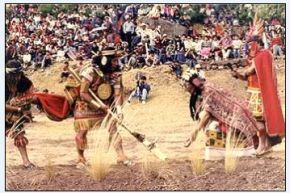 The ceremony of INTIRAYMI has three different scenes in three different places, It starts at the Qoricancha Palace placed on Av. 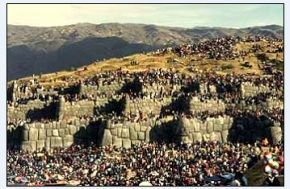 El Sol, then we head to the main square (Plaza de Armas del Cusco) where the second scene will be held and finally it ends with the special scene held in Sacsayhuaman ( 3 km from Cusco) where we will go on bus. 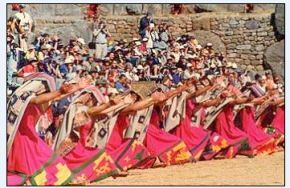 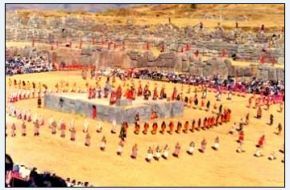 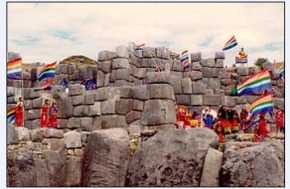 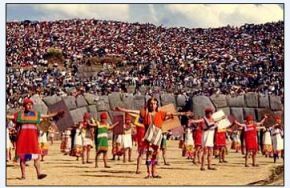 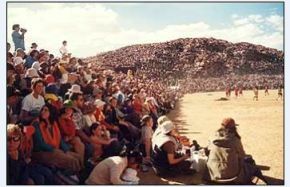 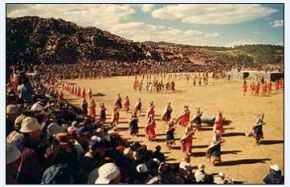 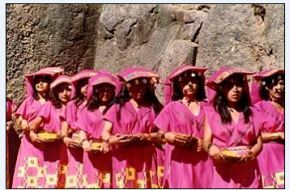 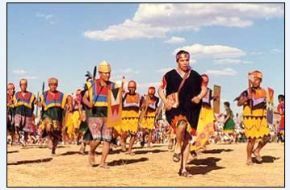 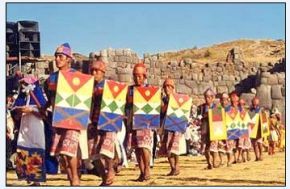 The Central staging of INTI RAYMI is held in the Sacred main square of Saqsawaman, over there have been placed the tribunes with capacity for 3,906 people. 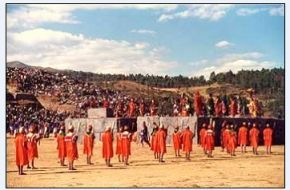 All the seats are very confortable for the spectators.The VIP Zone is formed for these 3 tribunes which give a better view of the ceremony. 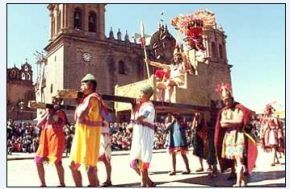 Transfers for all the places. 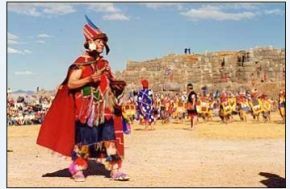 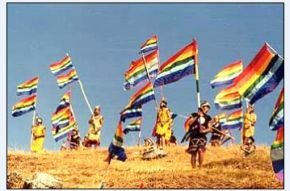 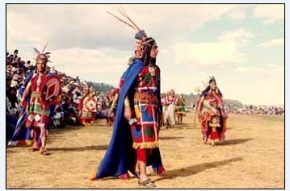 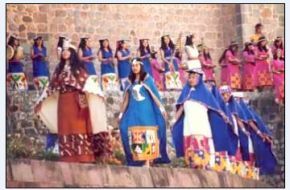 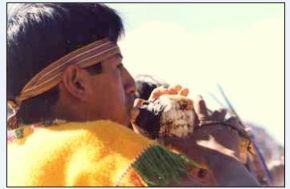 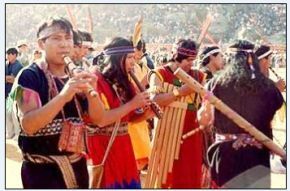 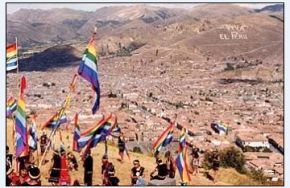 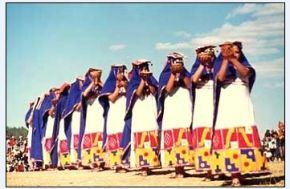 EMEFUC offers other necesary services to attend to the INTI RAYMI, VIP confortable seats for the spectator, Higienic Movil Bathrooms, Fisrt Aid Post and police security which allow enjoy this ancestral ceremony.